Beautiful aluminium design in Gold. 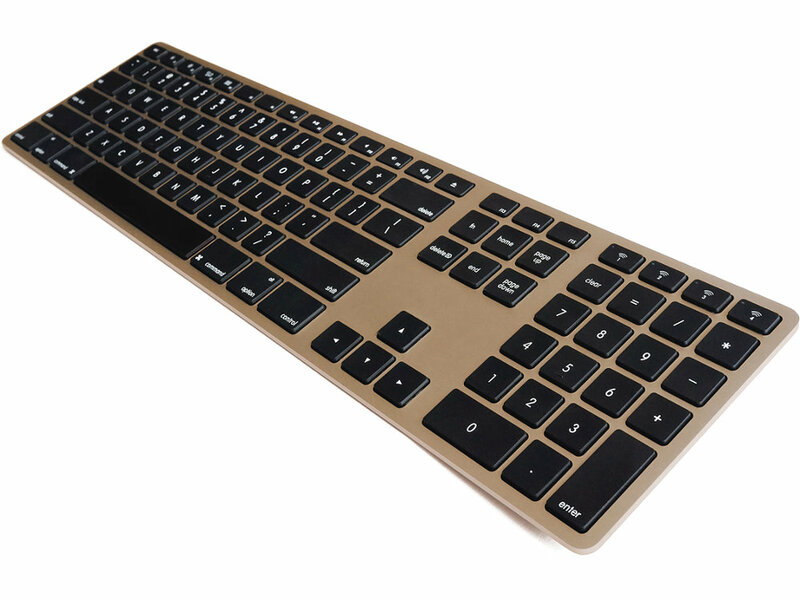 If you like Apple�s wired keyboard with numeric keypad but wish it were wireless, this is the one to get. It's just as nice. You can pair up to 4 Bluetooth devices, easily switching between them with the press of a button, and the keyboard adjusts its layout to match each device (as you switch) - whether it's Mac, iPad, Windows, Android, etc. No expense was spared to make this the best Bluetooth keyboard possible. That includes putting a much bigger rechargeable battery in it than we had to - 1,600 mAh. 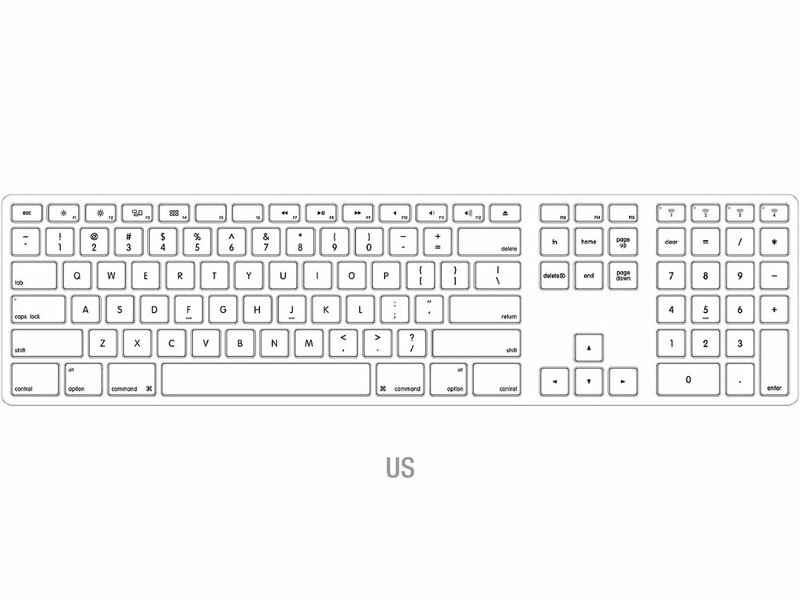 That's 5x to 12x bigger than what's inside most other wireless keyboards; big enough to last a year, on a single charge. Other wireless keyboards will often power down and disconnect to conserve battery life - leaving you waiting, each time they reconnect. With its BIG battery, the Matias Wireless Aluminium Keyboard doesn�t need to do that. It stays on, and stays connected. These simple luxuries - not having to worry about batteries, no waiting to reconnect - make it feel more like a wired keyboard. Available in 4 gorgeous colours - Silver, Gold, Space Gray, and Rose Gold.